Coach Mark Howley has started the Tom Swift Legacy Fund in honor of his high school and college buddy who passed away shortly after they had graduated from college. Coach Howley wants to impact the cost to play lacrosse in Woodinville in a powerful way by helping lower cost for kids to play the sport and to help the Club build a coaching foundation for our Club long into the future. This is what Coach Howley has written of his friend Tom. Mr. Tom Swift was a great person and best friend--very best friend. We attended Malvern Prep together and played lacrosse. Our career culminated in 1978 when we won the first Inter-Ac title for Malvern Prep, a huge accomplishment. 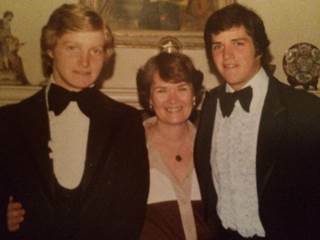 Tom and I were co-captains; he was goalie and I was center middie; both All-State, All-City etc. 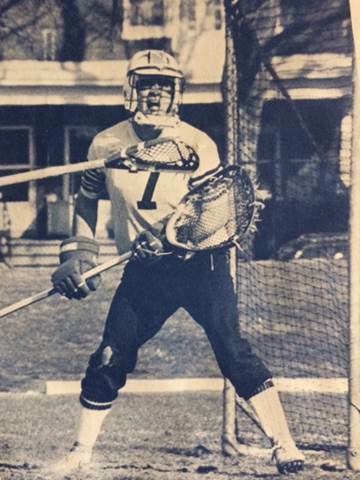 Tom and I subsequently attended Franklin & Marshall College; we played lacrosse, studied, and shared a room. Our collegiate career culminated in 1982 ranked #6 in Division 3 - one of the highest ranks to date for the school. Tragically, Tom died one week after graduation. He died from an aortic aneurysm; a genetic heart disorder. It was shocking that such a special friend could so suddenly pass. In addition to being a great guy, Tom was hilarious, funny and a great buddy -- we enjoyed many nights together. He is missed! 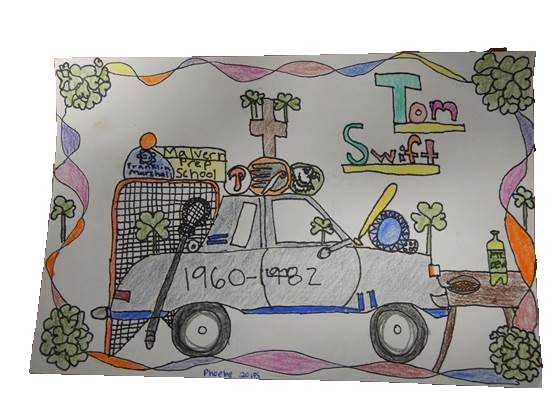 Mark has started the Tom Swift Legacy Fund to help Woodinville Lacrosse give our community access to a very special sport that can be played for many years to come. Coach Howley has made a very generous donation to start this annual drive. About Coach Howley - Mark, his wife and family moved to Woodinville several years ago where he now owns and operates his company. As a father of 5 girls, he has spent quite a few years coaching girls soccer. As they have grown up, Coach Howley has been conscripted into coaching lacrosse where he as been coaching one of the middle school teams for the last few years. In the Pacific Northwest we are short on lacrosse IQ and Coach Howley has been a blessing to have aboard. The Woodinville Lacrosse Club is a registered 501c3 non-profit. Donations made to the Club are tax deductible. For more information about the Club, please visit our Club Info page on this website.